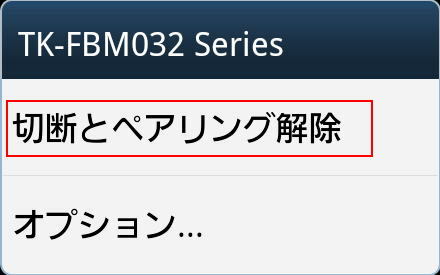 ※GALAXY S SC-02B （OS 2.3.6） is used in this example. 1． When your keyboard has a SPP/HID switch button, please switch it to the HID side. 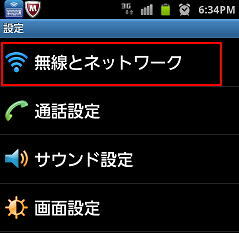 ※Icon image varies depending on your device model. ※Display may vary depending on your smartphone mode. 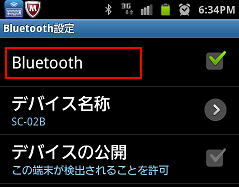 Please refer to the manual/manufacturer to enable Bluetooth. 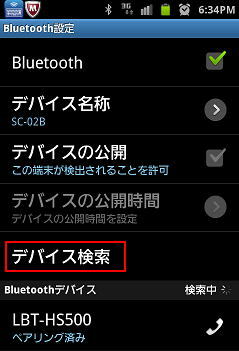 6． Tap Scan devices (Search devices) to turn on Pairing mode. 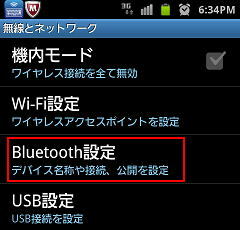 ※It searches available Bluetooth devices around you. 7． Press CONＮECT button on your keyboard. ※Please see the manual supplied with the product to locate a CONNECT button. 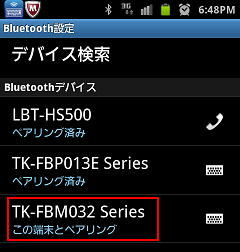 8． Your keyboard name appears in the list when it is detected from your Android device. ※Entered numbers are not showing up on your Android screen. ・Press CONNECT button on the keyboard. ・Enter the correct PIN code. 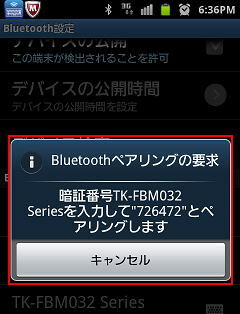 ※Please make sure that Bluetooth is enabled. and a device removal is not needed.